February 2, 2019 - Troubles in an Australian power grid facing record summer heat may provide a cautionary tale for the Electric Reliability Council of Texas as it faces a high probability of a blistering summer with a 7.4% reserve margin, which has been called "very scary." The Australian state of Victoria, which had rolling blackouts the weekend of January 25 due to generation outages amid a record heat wave, somewhat resembles Texas, in that both have embraced renewable energy and have endured some backlash because of it. A record-breaking heat wave in southern Australia boosted the high temperature on January 25 in Melbourne, the largest city, to about 109 degrees Fahrenheit, compared with an average January high of 82 degrees. With surging demand from air conditioning, Victoria's peakload was forecast to top 9.5 GW, compared with the state's summer 2017-18 peakload of 8.8 GW, which prompted the Australian Energy Market Operator to cut power to an aluminum smelter, Victoria's largest electricity consumer, for nearly two hours on January 24 and to cut about 200 MW of supply on Friday on a rotating basis, affecting about 200,000 customers, according to news reports. Meanwhile, Victoria had about 1,800 MW of generation offline, including a 560-MW unit at AGL Energy's coal-fired Loy Yang Power Station and units at two EnergyAustralia plants, the 435-MW Tallawarra natural gas plant and about half of the 1.5-GW coal-fired Yallourn power plant. In 2017, the last year for which Australia has complete data, renewable resources provided about 12% of Victoria's electricity, led by wind at 6.8%, solar at 2.4% and hydro at 1.6%. Five years earlier, renewables supplied just 7%, led by wind and hydro at 2% each, with solar and biogas at 1% each. In 2012, coal plants generated 91% of Victoria's electricity, and natural gas plants provided just 2%, but coal supplied less than 83% of Victoria's power in 2017, while gas-fired generation surged to 5%. The transformation of ERCOT's generation mix has been similarly profound. Renewables supplied more than 18% of the grid's power in 2017, almost all wind. That compares with 9.3% in 2012. Coal-fired generation supplied 32% of ERCOT's power in 2017, which fell to less than 25% in 2018, following the retirement of more than 4.2 GW of coal-fired capacity in late 2017 and early 2018. In comparison, coal's share of ERCOT's generation mix in 2012 was almost 34%. Texas' vast natural gas reserves have contributed to gas' leading share in ERCOT's fuel mix, with almost 39% in 2017, but that is down from 45% in 2012. In Australia, such changes coincided with surging electricity bills, which prompted voters in 2013 to reject the ruling left-leaning Labor Party in favor of a more conservative coalition led by Australia's Liberal Party. However, Victoria's failing generators were not renewable capacity, but aging thermal plants, and some Australian leaders blame last weekend's blackouts on the federal conservative coalition's lack of action on a coherent national energy policy. In May 2017, a paper by Harvard's William Hogan and FTI Consulting's Susan Pope was filed at the Public Utility Commission of Texas that identified subsidized renewable energy as substantially hindering the ERCOT thermal fleet's viability, a position strongly supported by Bill Peacock, the markets-oriented Texas Public Policy Foundation's vice president for research. Partly in response to that filing, the PUC on January 17 decided to support a reform in the Operating Reserve Demand Curve price adder that rises as operating reserves decline, such that the new calculation would rise faster and more frequently, which has been estimated to cost consumers as much as $2 billion a year. "Due to [federal] renewable subsidies, more wind may actually lower wholesale prices while increasing retail prices," Peacock said in a recent email. "The Public Utility Commission of Texas just responded to the harmful effects of renewable subsidies by changing its administrative pricing structure in a way that could add as much as $2 billion a year to electricity prices in Texas." 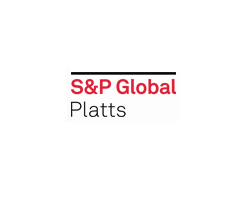 But Texas electricity prices have some room to grow, according to Travis Whalen, an S&P Global Platts Analytics power market analyst, who said Texas retail electricity rates were the eighth-lowest in the nation over the past three years. "People might react to significant blackouts and call for some greater reserve margins, but the current situation already isn't expected to last going into the next year and could improve further with the implementation of a more generous ORDC structure," Whalen said. "Ultimately, I think it's extremely unlikely that you'll see Texas residents calling for a retracement on the growth of renewables when they're paying some of the lowest utility bills around, and reaping the economic benefits of that." Michele Gregg, executive director of Texas Competitive Power Advocates, said her members "are encouraged by the recent actions of the PUC to ensure much-needed reliability" with the ORDC change. "While renewable subsidies create an out-of-market distortion impacting the true market price signals, we believe that Texas' 'all-of-the-above' approach is working," Gregg said. In contrast, Adam Sinn, a Houston-based energy trader at Aspire Commodities, described the PUC's decision as "a money grab" for generators "while not solving any capacity issues." "There's a major disconnect going on at the PUCT between generators' lobbying efforts to spook forward markets higher, and the same companies not having public plans to build new thermal generation," Sinn said. "Each time there is a PUCT meeting ... forward summers shift around 5-10% [based on] regulatory uncertainty. If we were to have an Australia-like problem -- which the forward reserve margins indicate we can -- the entire situation would have egg on its face." The National Weather Service's January 17 long-lead weather forecast for June, July and August indicates a high likelihood of above-normal temperatures across Texas. Last summer was the fifth hottest on record for Texas, and it set a new peakload record of 73,259 MW on July 19, with a reserve margin estimated at about 11%. Joshua Rhodes, a University of Texas Energy Institute research associate, cautioned against reading too much into ERCOT's weather and generation mix similarities with Victoria. "One of the things that ERCOT has going for it over the Victorian market is size," Rhodes said in an email. "When one of Victoria's Loy Yang's generators trips off line, it can be about 6% of demand, whereas if one of ERCOT's South Texas Project's [nuclear] units tripped offline during peak demand, it would only be about 1.6% of demand, so the sheer size of ERCOT (and all the other generation online at any given time) makes it less vulnerable to any given piece of the system failing." Gurcan Gulen, former University of Texas Bureau of Economic Geology senior energy economist, said, "I suspect there is plenty of blame to go around in most regions" on increasing reliability risks. Factors contributing to capacity-related reliability issues include subsidized renewables, cheap natural gas, markets yielding insufficient revenue to sustain new or existing plants, old infrastructure breakdowns, and regulators' reluctance to approve sufficient funding for maintenance and upgrades, Gulen said. "Dispatching low-operating-cost wind at larger amounts, sometimes at negative prices thanks to federal [production tax credits], also contributed to lowering wholesale electricity prices," Gulen said. "But, this effect has been smaller than the impact of lower gas prices. So, a backlash against renewables would be misplaced." Instead, Gulen recommended "understanding net system integration costs of increasing wind and solar penetration and adjusting market design to allocate costs and to compensate all market participants properly."